How does a fraudster, forger and thief get to be loved and even respected for what he is? The incredible story of Renato Cansella, an unconventional man. 20 years ago, when I was just starting University at UC Berkeley, my mother calls to tell me she’s fallen madly in love, with an amazing Italian man. The next time I come home to visit, there’s this funny man in our kitchen, chain smoking Marlboro reds in a bathrobe, cooking the most delicious saffron risotto I’ve ever tasted. Renato is balding, a bit overweight, obviously once very handsome, and has a manic energy that reminds me of Roberto Benigni, with one of the sharpest wits I’ve ever encountered. As he’s cooking he tells me about his dealings in Paris, about the Rolls Royce he gave away, about the Picassos he’s bought and sold, and so on. Every morning though, after I give him a ride to buy the the Italian newspaper, he asks me for a dollar to pay for it. Ok, I think, he’s a great exaggerator, totally broke, but so simpatico, and my mother seems so happy that it’s no problem. Besides, I love the opportunity to speak Italian at home, and he’s teaching me to play the Recuerdos de Alhambra, one of the most beautiful pieces ever written for the guitar. A year later, he goes to Miami, meets a Texan oil man. Says they’re going into business together. Texas is putting up the capital, Renato is putting in his expertise, and they’re gonna buy and sell art together. Suddenly money’s pouring in over the transom. Renato’s remodeling our house, putting in a new swimming pool, an elaborate and gorgeous rose garden; he’s spontaneously adding rooms, while seemingly never changing out of his white terrycloth bathrobe. 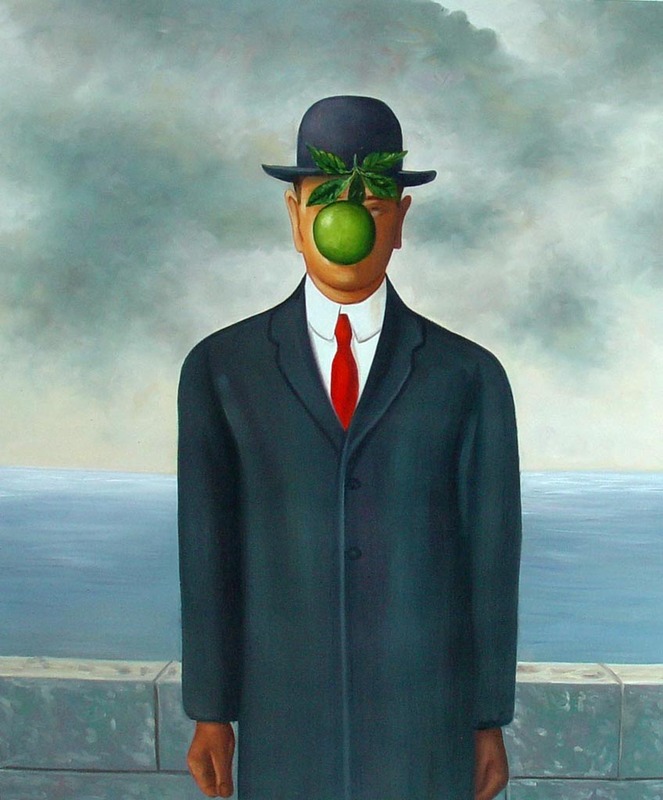 There are paintings by Magritte, Leger, and Botero hanging on our walls. He’s just bought himself a brand new Jeep Cherokee limited, and the next time I come to visit from Berkeley, it’s my birthday. “Take the car,” he says. “It’s yours.” I hear a story of how he went to test drive a new Rolls Royce in Beverly Hills, and he sat in the back seat. It’s all seeming a bit too good to be true, but I go along. I’m hardly there anyway. My mom says they’re getting married. It’ll be her first ever wedding; I should be there. I come down and there’s a justice of the peace in our garden. Renato is in his bathrobe, there are no rings, so they fashion a couple out of tin foil. 10 minutes later, they’re married. It’s strangely romantic. A year later, the INS decides their marriage must’ve been for immigration purposes. They put them in separate rooms, ask them questions, based on a much more “traditional” notion of marriage than the one they had. They flunk the test, despite being very much married and still very much in love. Cut to 2 years later: Renato heads to Spain on business. In Malaga he’s stopped by Interpol. Seems he was involved in some shady dealings in Paris before moving in with us. For 8 months he sits in a prison cell, awaiting extradition to France. I go visit him. He’s lost weight, looks healthier than I’ve ever seen him. Spanish prisons aren’t like here in the states: They’ve got tennis courts, and they allow conjugal visits. Maybe a little time in the slammer is all he needed to slow down a bit. He just owes somebody money, he says. Not a big deal. My mom goes to Spain to try to get him out. Suddenly I’m back at home, having graduated from college. I’m 24 years old, and the lawsuits start pouring in–from the oil man, from a pissed off investment banker who bought some Leger paintings “of questionable authenticity,” and others. The suits attack the one asset they seem to be able to connect to Renato: our family home. My brother and I start renting rooms in the house, trying to keep up with the legal fees. Meanwhile I’m getting a fast legal education, at least enough to understand that it’s not looking good. A few months later we lost our house. I moved into a converted school bus, which I lived in for 2 years. I traveled, made films, moved to Venice, got married, got divorced (that became my new film Monogamish) I grew up a little. Renato and my mom split up soon after he got out of prison. Today I found out he died. “Natural causes or did somebody end up killing him?” my brother asks in a text message. “I hear it was heart attack.” I type back. “I hope he had someone around him who loved him,” he says, my brother, who lost everything he had because of this man. You see, as another mutual friend once told me, “Renato has this uncanny ability to steal from you and somehow convince you it doesn’t matter.” And it wasn’t just a con. All the money he “made”, he gave away, with a generosity and a joie de vivre I’ve never experienced before or since. He had culture, a sense of humor, impeccable taste, and most importantly, he was a true original–a rare thing these days. And the life I’ve lived since he came through it, in this hurricane-like manner, is one I wouldn’t trade for anything in the world. For me, the story has a happy ending. For Renato, who knows. With acclaimed films Being in the World, Fix and Just Say Know, Tao is a Mangu.tv favorite filmmaker and one of Moviemaker magazine’s 10 Young Filmmakers To Watch. His new film, Monogamish, explores marriage in the 21st century.